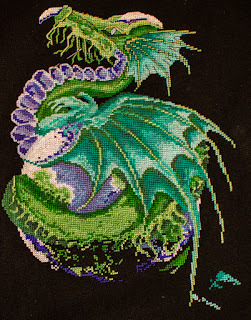 I stitched on this a every day for a bit more than a week, and it's hard for me to see all the progress. I know it's there, but it seems to be very slow going. I think it's all the partial stitches. Soon, I hope, those will be over and things will go more quickly. 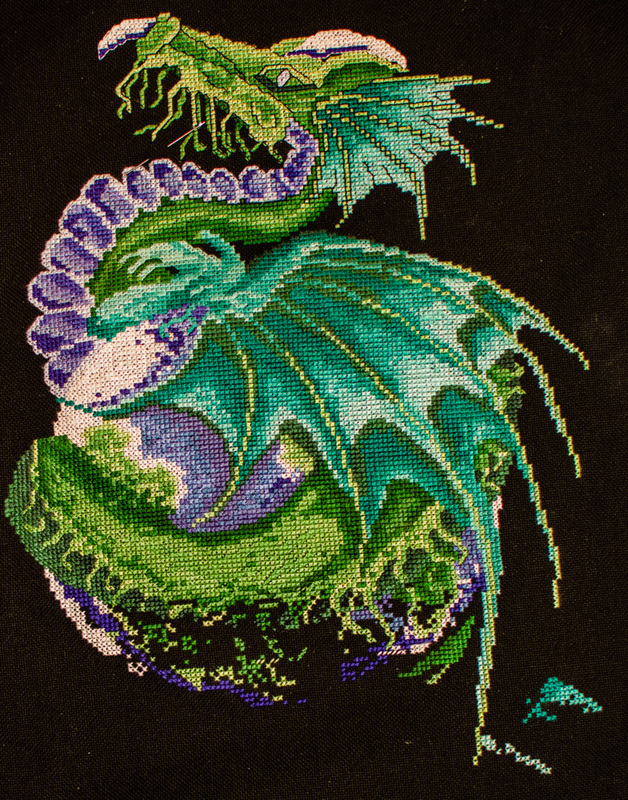 On the other hand, I can see all the back stitching on the dragon's head, which really emphasizes the fans.